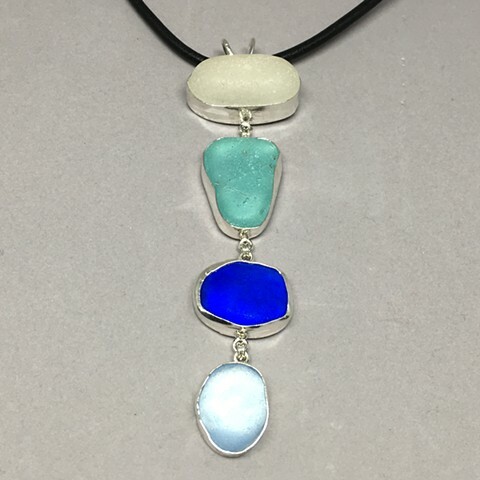 White, aqua, cobalt and light blue seaglass set in fine silver bezels on a leather cord. Can also be put on a sterling chain. This piece dazzles.